December 1st – first day to circulate nomination papers for signatures. To run for alderperson you must live in the aldermanic district (ward) where you wish to run. 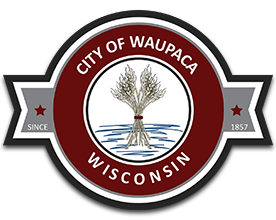 To run for mayor you must live in within the city limits of Waupaca. To find out what ward you are in visit this page. Election Day, First Tuesday in April – Your name will be on the ballot. Once elected you will need to take the Oath of Office, review the City’s Code of Ethics and Fraud policy. The Mayor makes their appointments at the Organizational Meeting held on the third Tuesday in April. Contact the Mayor, City Administrator or Clerk’s office with your request to be considered for desired board, committee or commission. If there is an opening the Mayor will take your request into consideration. If selected you would be appointed at the organizational meeting. Once appointed you will need to take the oath of office and review the city’s fraud policy and code of ethics.